A .me.uk domainname from € 9,99 per year. Which one will be yours? Your domain name allows you to show who you are and what you have to offer. Therefore, it is important to find a suitable and catchy domain name for your website. Versio offers a user friendly interface for the management of your domain names at the lowest price in of the United Kingdom. Below you can initiate the registration or transfer of your domain name. 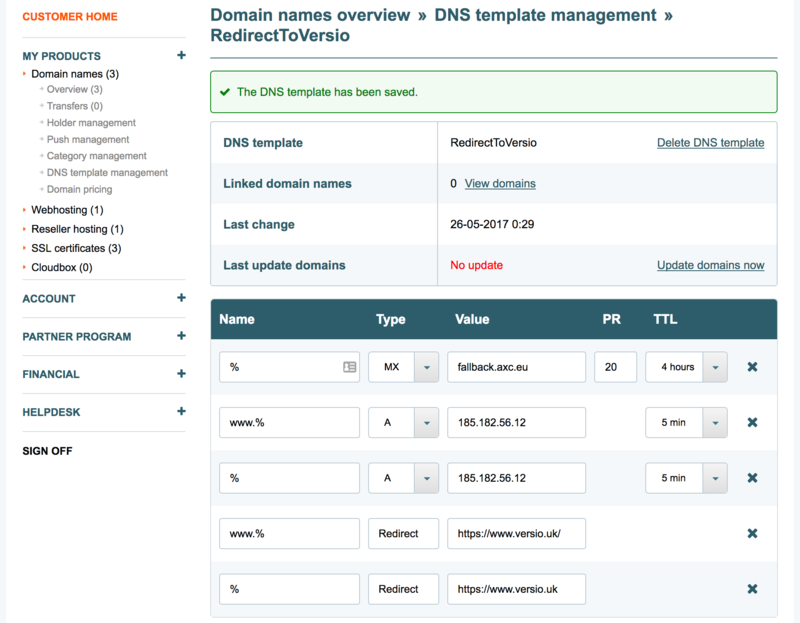 Versio is a direct registrar with ICANN, SIDN, DNS Belgium, EURid and Nominet. 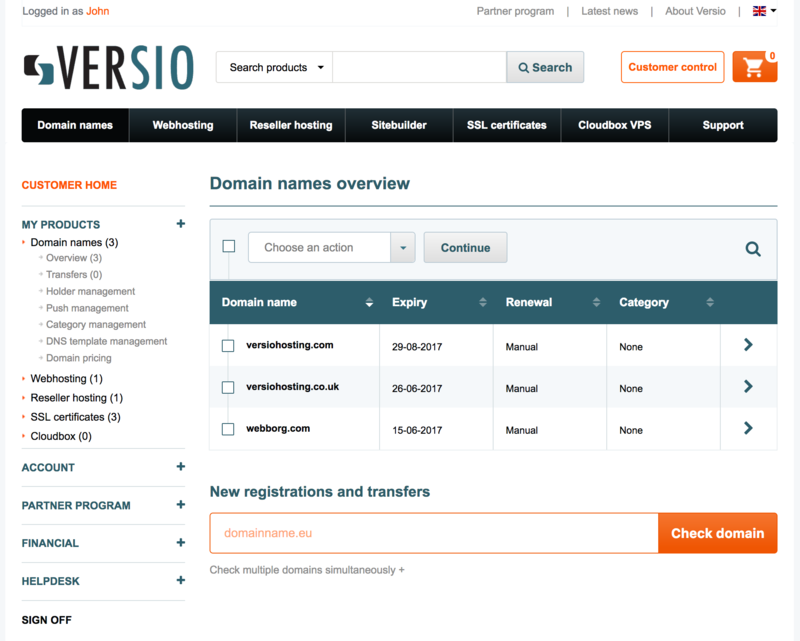 Versio manages over 400 thousand domain names, making it one of the largest registrars of Europe. This number keeps growing rapidly, due to our powerful control panel: You can manage your domain name with an extremely user friendly but powerful interface. All actions are real time and are executed at lightning speed. For customers who require more powerful tools, we provide an extensive API that allows you to automate a great deal. It is due to our powerful API that we are the domain registrar of hundreds of companies. 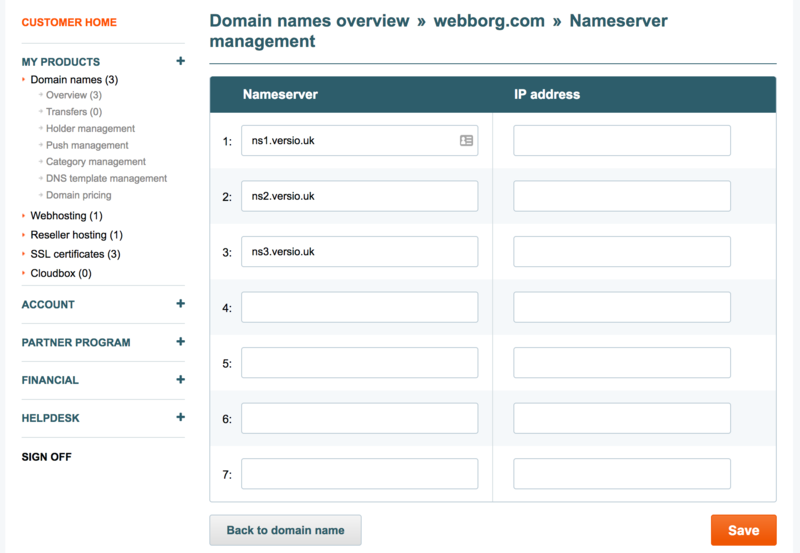 Why you should register your me.uk domain with Versio? Thousands of customers have chosen the expertise of Versio. Versio is a company that does not sit and wait but keeps developing itself at lightning speed to stay one step ahead of the developments on the Internet. Find out below why you should register your domain registrations with Versio. At Versio, you will pay the lowest price in Europe for your domain names. If you have more than 100 domains, you will automatically be given a discount. If you pay with your Credit card, PayPal or online wallet, we will register your domain names immediately. 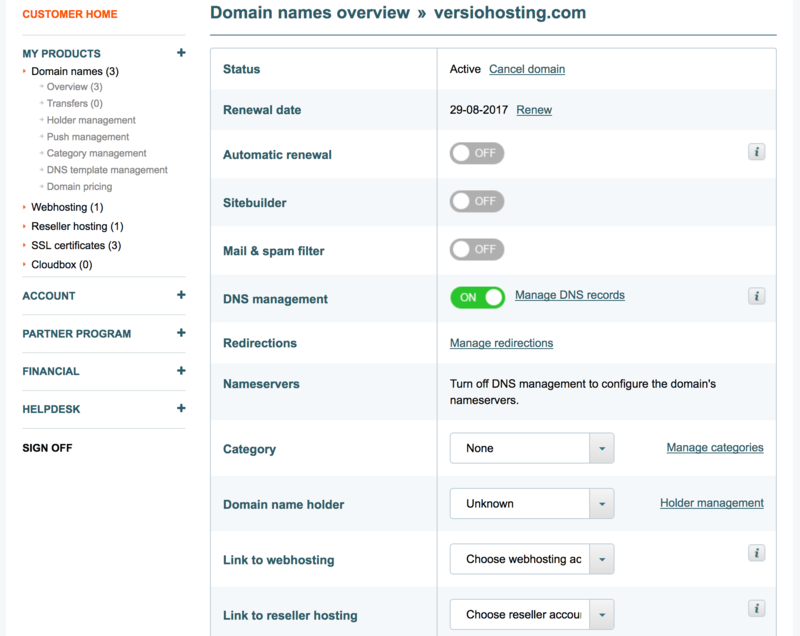 You can manage the nameservers and DNS records of your domain names at any given time, free of charge and real time. We offer you several tools that allow you to manage multiple domain names simultaneously. 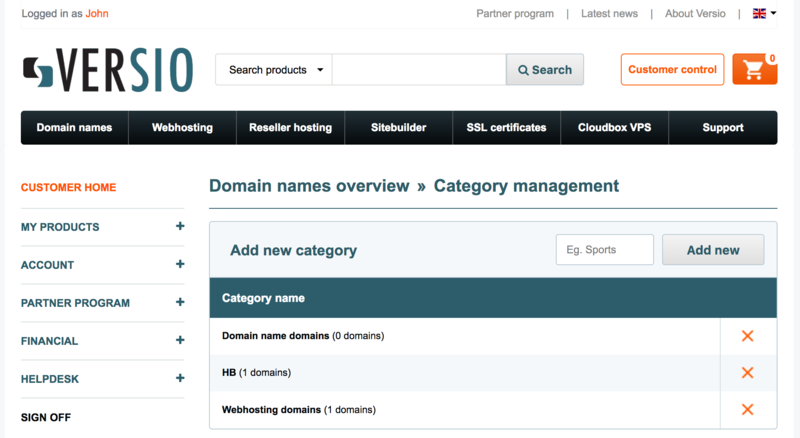 This makes it even easier to manage your domain names. You can change the domain holder at any time. Changing the domain holder is free for all TLDs, except for .BE, .NU and .SE domains. We do not renew your domain automatically, unless if you ask us to. This puts you in charge about which domain you want to renew. 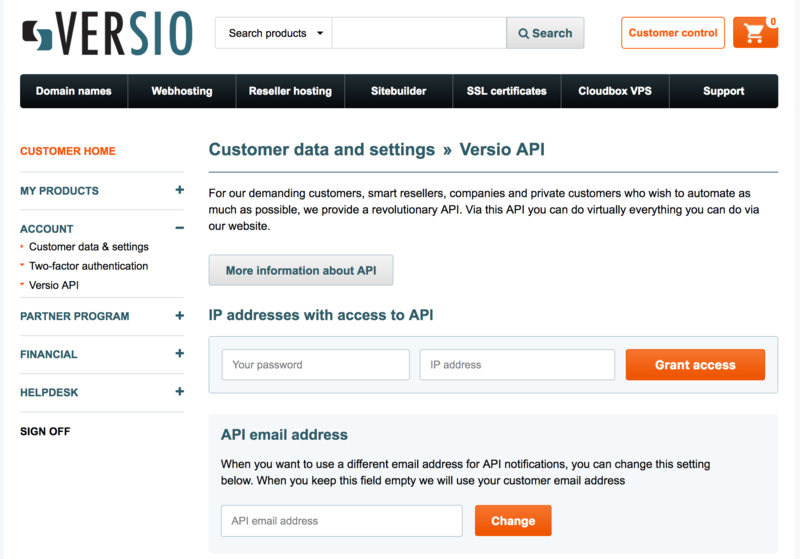 For demanding customers, Versio offers an extensive API that can be used to register manage domain names. Every action you can perform via our website, you can also perform via our API. 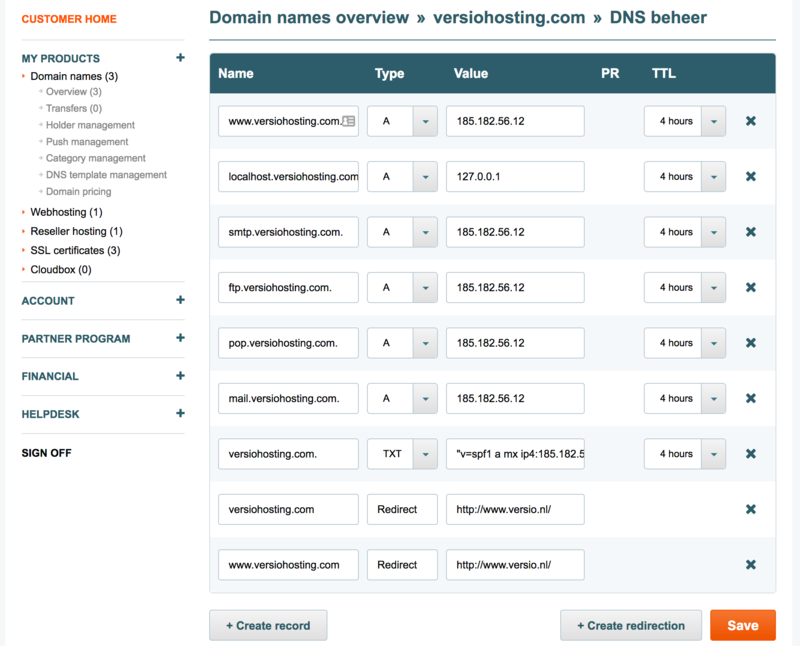 You can transfer your domain name to another user of Versio free of charge and in realtime. So if you ever decide to sell your domain name, this is an easy way to transfer the domain to the buyer. 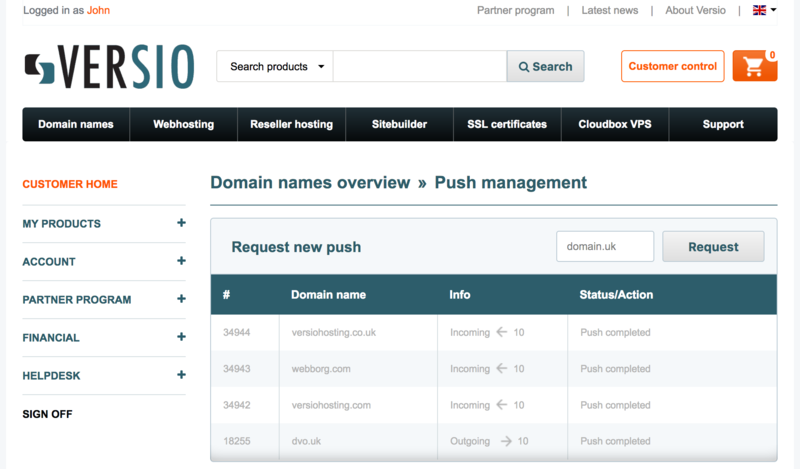 All domain names registered with Versio can use our free email fallback service. When your mail server is inaccessible, the emails will be delivered to the fallback servers of Versio so that they will not be lost. Do you have more than 100 domain names? You are eligible for our wholesale plan. Versio offers the possibility to become reseller by more than 25 domain names.